Melodically and lyrically, this album arguably represents the peak of Rich Mullins' songwriting. The songs compellingly address a wide spectrum of subjects ranging from domestic to global, from personal to political. Always shining through is Rich's humility, insight, and love for God. A classic album from a great artist. 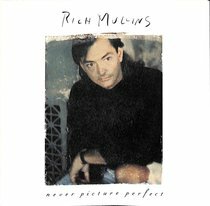 :Melodically and lyrically, this album arguably represents the peak of Rich Mullins' songwriting. The songs compellingly address a wide spectrum of subjects ranging from domestic to global, from personal to political. Always shining through is Rich's humility, insight, and love for God. A classic album from a great artist.